The DDCC Ladies Golf are holding a Quiz night on Saturday 7th October @ 7.30pm. Tickets are $10 each (Tables of Six preferred). BYO nibbles. Great prizes. Tickets are available from the bar. Last Saturday’s Captain’s Versus President’s Team Event was well supported and the weather was kind. Once the draw was done the teams took off and played their STB game. The President’s team comprising Ken Littlefair 38 –Mal Williamson 32. Barry Guest 36, Jim Parry 29, and Mark Embry 33 score a winning total of 169 points. At the presentations the Captain’s Team was able to sock it to the Presidents Team whilst the Presidents Team was able to round up and tidy up their score especially Ken Littlefair who sunk a great 12 foot putt. The match was played in good spirits as was the Presentation . Thanks to the volunteers for the good course conditions once again including the new Tee Fence on No 14 aptly named The Back Bar. Thanks to all for your contributions and efforts. 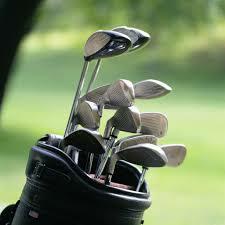 NB There are fourteen clubs in a golf set, but this does not mean- as some golfers seem to think-that you must have fourteen different swings! Seven ladies played a stableford. Winner of the day was Joan Embry with 21 points minus 1 for previous wins. Runner-up was May Armstrong 22 points minus 4 for previous wins. Our captain Sue Hart is recovering from a back operation. Speedy recovery Sue. There was no competition owing to inclement weather. The stableford will be played on 28th, and will be the last chance to improve the eclectic score. Twins dress up day is the 5th Oct, so get yourself a twin and a costume. Don’t forget to get a table of six for the Quiz Sat 7th Oct. EXPERIENCE IS WHAT YOU’VE GOT WHEN YOU’RE TOO OLD TO USE IT!! The Jackpot Draw on Friday night was not won . The Jackpot will be $900 this week. Members must be financial for the 2017/18 membership year now and present to claim. The Jackpot is drawn between 5.30pm and 6.30pm in the Clubroom bar.